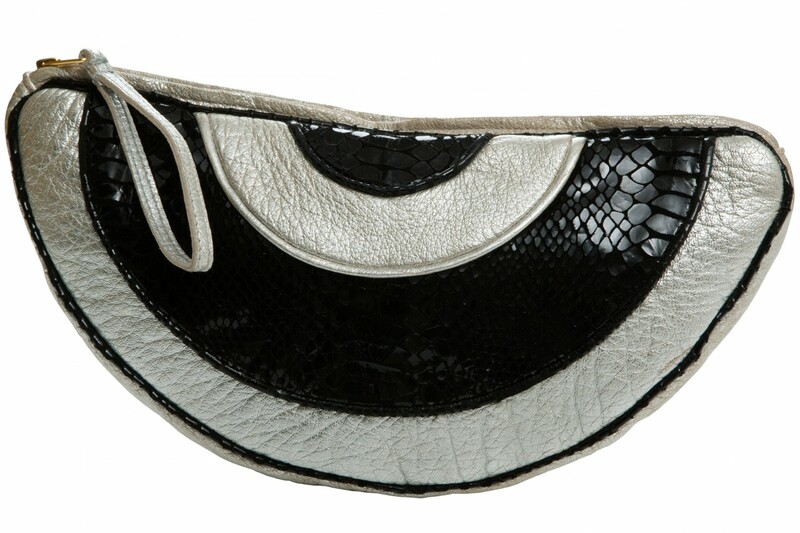 This alluring half moon shaped clutch with semi-circle design in contrast leather is an ideal evening bag that would add sparkle to any occasion. 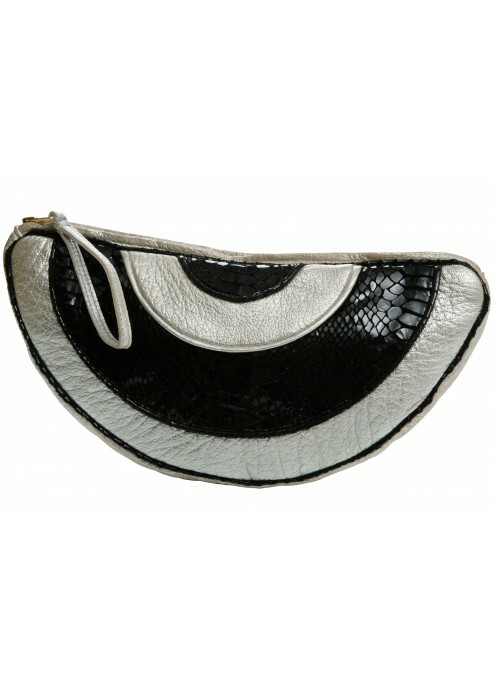 It is made from the finest leather and has a glamorous satin lining with a convenient slip pocket. 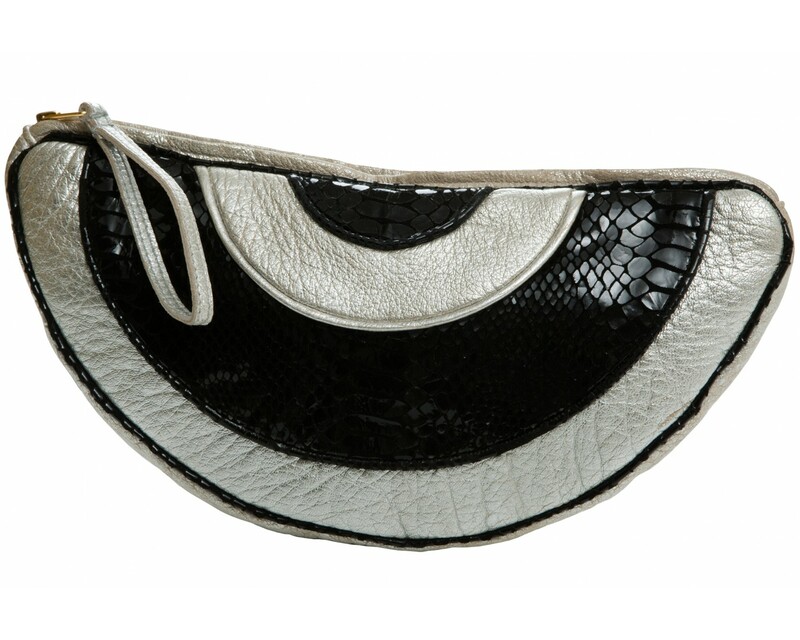 It is 28cms x 14cms x 2cms and comes with a 100% cotton canvas de Roemer dust bag.